I've been using the same Bible since October 1991. My mom gave it to me after I chose to profess Christ and get baptized in front of our little Lutheran church in Collierville, TN. After 22 years of use, it's pretty ragged! The binding is falling apart, pages are ripped and torn, and sections are loose and falling out. 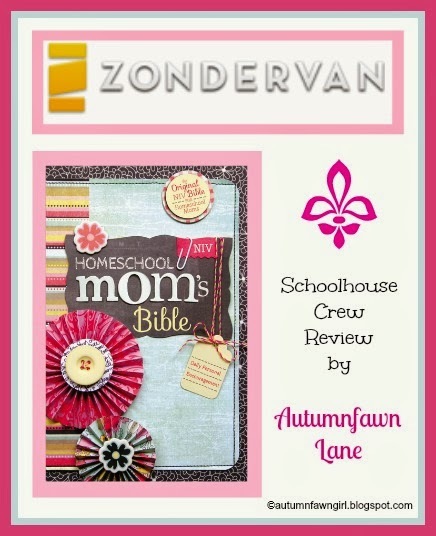 I just about squealed when I saw that Zondervan was offering Schoolhouse Review Crew Members the opportunity to review the Homeschool Mom's Bible in NIV or KJV. 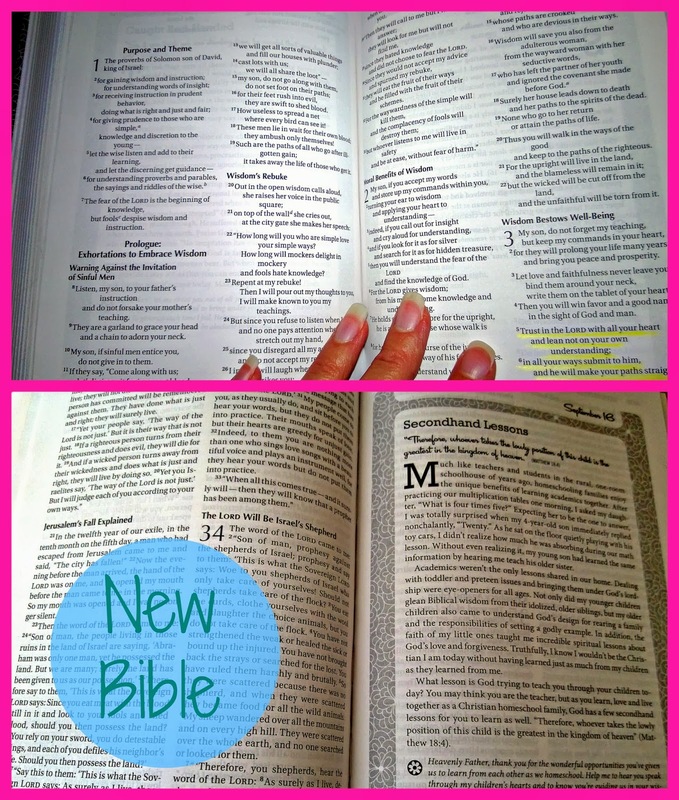 My old Bible is an NIV which is my favorite version, so I am reviewing the NIV Homeschool Mom's Bible. This Bible is unique in that it contains 365 daily devotions written by veteran homeschool mom, Janet Tatman. Janet has over 25 years of experience as a homeschool mom of 4 children and 6 years of experience as a copywriter for Alpha Omega Publication's homeschool division. During her time at Alpha Omega Publications, a forerunner in the homeschooling movement since 1977, she also had the privilege of writing the Daily Focus, a daily devotional offering email subscribers encouragement and instruction from God's Word. Because the Daily Focus is so popular, it's available as a year-long devotional book, an eBook, and now as part of this NIV Homeschool Mom's Bible! In her devotions, Janet inspires homeschool moms through plenty of personal stories and examples to stay the course and glorify the Lord in all they do. As I've been reading September's devotions, I've been encouraged to not give up even when homeschooling is hard, to continue to forgive wrong done to me, to know my Bible and share its truths, to be faithful in the everyday things, to bear Galatians 5 fruit, to share with others, to trust God for all my needs, to be careful with my words, to die to self, to give my all in my calling, to avoid letting my children become my idols, and so much more. 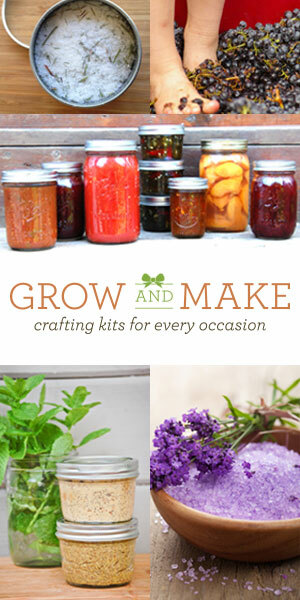 Janet skillfully weaves all things relating to homeschool into her devotions while constantly keeping Jesus the focus. I love what she says about Shortcuts on September 23 - "Quick prayers and short devotionals are not enough. Spend time alone with the Lord today in prayer and Bible study, and let the Holy Spirit reveal those changes that need to take place in your life." I love that these daily devotions are tucked between the pages of Scripture because she is so right - short devotions aren't enough. We need the whole Word of God to renew our minds and to transform us. Several Scripture references are usually included throughout each devotion which I really like. Also, at the bottom of each devotion is a note indicating on which page you can find the next reading. The features of this Bible are pretty basic. A couple of features I wish this Bible had are Jesus' words in red letters and a cross-reference system which has always been so helpful to me when studying God's Word. A few maps and introductions to each book of the Bible would be awesome as well. I know all of this information can be found online, but it's nice to have it all in one place, too. I've been a little hesitant to use this Bible for weekly Scripture memorization, though. I keep going back to my old NIV (1988 copyright). I'm just so familiar with the language used and the way passages flow. 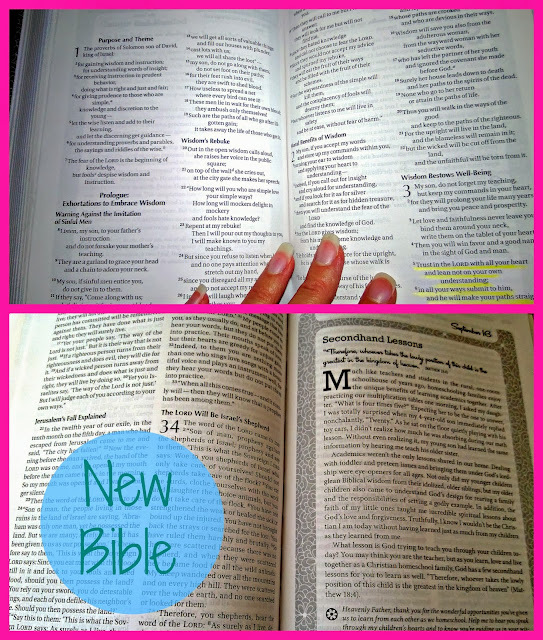 Some of the language in the NIV Homeschool Mom's Bible has been revised and updated to "reflect the latest developments in our understanding of the biblical world and its languages and to keep pace with the changes in English usage." I get that. Languages are always changing, and the Preface, from which I took the preceding quote, explains in great detail the translation process and all of the reasons for keeping the Bible current and up-to-date. Old NIV - "With the tongue we praise our Lord and Father, and with it we curse men, who have been made in God's likeness. Out of the same mouth come praise and cursing. 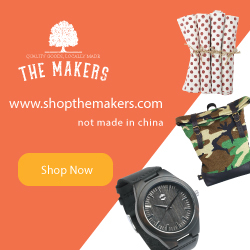 My brothers, this should not be." New NIV - "With the tongue we praise our Lord and Father, and with it we curse human beings, who have been made in God's likeness. Out of the same mouth come praise and cursing. My brothers and sisters, this should not be." As you can see the changes here are minor and don't seem to have an effect on the meaning, but there are other passages that may be controversial to some such as Matthew 18:15 which seems to slightly alter the original context's meaning. 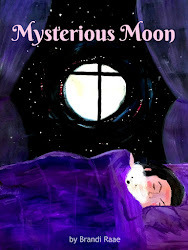 I am no scholar on these matters that I've mentioned and am certainly not able to cover this subject thoroughly since I haven't read the entire NIV Homeschool Mom's Bible during the review period. If you have any concerns about the updated NIV version of the Bible, I suggest you do a little research before you buy. Being on the subject of the old NIV versus the new NIV, I will end with this: after reading the Preface, I do have peace that the Committee on Bible Translation truly desires to bring glory to the Lord and to draw all people to a saving relationship with Jesus Christ. Thankfully, we live during a time when original Greek and Hebrew texts are just a click away and so easily accessible to anyone who wishes to study them. 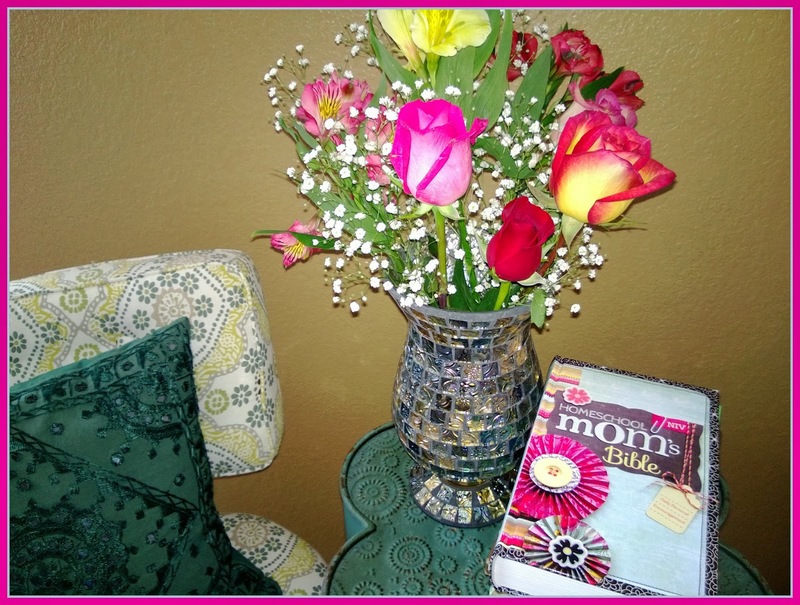 This hardcover NIV Homeschool Mom's Bible is available for $34.99. 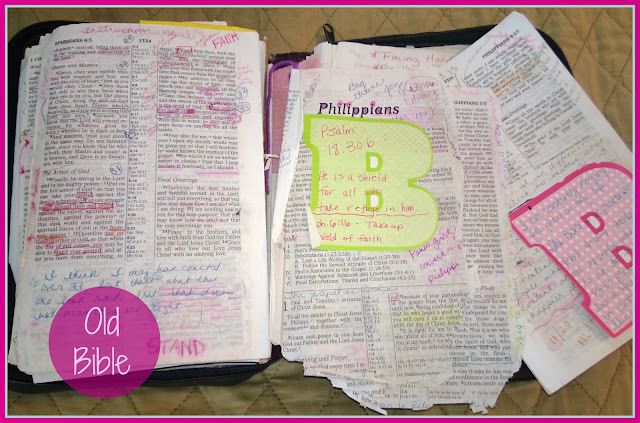 I love the picture of your 'old' Bible. Honestly, that is a good thing that your Bible looks like that. lol. Great review. I'm stopping by from Throwback Thursday. I didn't get on this review last year, but I did think the Bible looked so cool! I passed up this review last year, now I am wondering if I should have tried for it. Looks like a wonderful Bible. I have to admit, I didn't know there was an old and a new NIV. I'd have to look more into it to see how I feel about that. NIV isn't my favorite, but it is what I have been using right now. Thanks for stopping by and sharing on Throwback Thursday Blog-Style. I can't wait to see what you share this Thursday.